As more and more cancer patients rely on complementary therapies to help them manage their disease, the question inevitably arises as to the appropriateness of such practices. The number of integrative modalities available to patients today is mind-numbing – ranging from energetic healing to Chinese herbal preparations. Yet despite the almost infinite array of offerings, there are some basic rules that can help keep cancer patients safe while exploring forms of healing that transcend western medicine. Rule #1: Integrative treatments are no substitute for proven medical interventions that control or cure cancer. This first rule is inviolate – consider it the one red-line that you should never cross. Therefore, you can eliminate the thought of “alternative” medicine, and replace it with integrative or complementary medicine. Complementary therapies do not replace or supplant traditional methods of managing cancer. Rather, they are intended to provide additional benefits to the cancer patient, which may vary from reducing the adverse side effects of treatment to attempting to bolster the patient’s immune response. They are thus intended to complement standard oncology practices. Most physicians would agree with Dr. Cassileth…so don’t expect your doctor to turn cartwheels if you elect to forgo traditional medical care in favor of alternative medicine. It should be noted that, despite the significant difference between complementary and alternative medicine, they are often spoken of together as differing from traditional or allopathic medicine. Rule #2: Complementary treatments should be evaluated relative to their ability to improve quality of life – not eliminate or control disease. Significant research data supports the assertion that certain complementary modalities appear to have a profoundly positive effective on selective measures of quality of life (QoL). 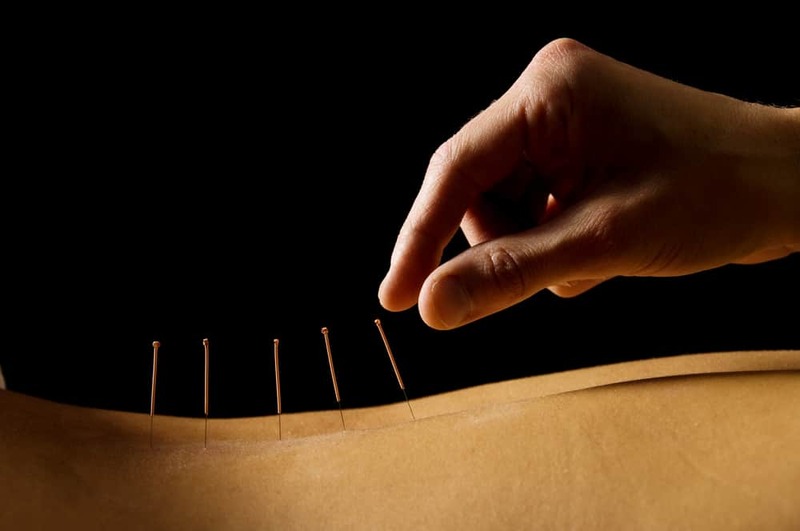 Clearly, a significant level of research exists demonstrating the effectiveness of selective complementary therapies within the appropriate context. Before engaging in complementary therapies, however, you need to also understand the potential dangers associated with them. Rule #3: Do not ingest anything without discussing it first with your physicians. You probably won’t get into too much trouble with non-invasive modalities such as acupuncture, massage therapy, aromatherapy…but ingesting unknown substances is a wholly different matter. CAM therapies are often marketed as “natural alternatives” to medicine—leading some patients to believe that they are without risks. While prayer, meditation, massage, and other forms of therapy that do not involve the ingestion of any type of compound are generally devoid of risk, other therapies cannot make this claim. Mary Egger, RN, advises patients, “If it is something that they ingest, they need to check with the doctors first because it could be counter-productive to treatment.” There are three principal dangers when ingesting a diverse range of CAM therapies: 1) There can be a direct reaction to the compounds; 2) the compounds can negatively interact with chemotherapy, radiation therapy, or other medicines; 3) the CAM compounds/herbals can be contaminated. As if these dangers were not enough, there are also safety concerns related to the manufacturing processes for CAM products. Many herbal preparations are manufactured in foreign countries with far less stringent manufacturing standards to protect product safety and purity. As a result, so-called all natural products may be contaminated with lead, cadmium, arsenic, or other toxins. Even in the United States, oversight of CAM products pales compared to the scrutiny applied to traditional pharmaceutical manufacturing. Rule #4: Just as you were discerning about your medical doctor, be equally discerning when selecting an integrative provider. There are legitimate, certifying organizations that convey Board certification or comparable credentials to acupuncturists, massage therapists, Chinese medicine practitioners, and others within this field. However, there are also charlatans! I have attended meetings where the virtues of miracle cures were peddled to unsuspecting patients with merciless conviction. And when I challenged these hucksters—demanding valid proof of their claims, I was routed out of the audience with great haste. In one case, a death threat followed. What I found most surprising was the degree to which intelligent, rational individuals were buying into this nonsense. It spoke volumes about their extreme vulnerability and desperate need for hope. It’s important that you feel comfortable discussing complementary medicine with your physicians. Research indicates that “the majority of CAM use is not being communicated to providers.”[xii] Since we have seen how certain CAM therapies can interact with traditional treatment modalities or cause harm in other ways, this reluctance to share such information with your physicians must be overcome. After You Hear It’s Cancer: A Guide to Navigating the Difficult Journey Ahead,Rowman & Littlefield, Publisher. Here is a link to the book on Amazon.com. [i] Edzard Ernst, “Alternative Treatments for Breast Cancer,” European Journal of Clinical Pharmacology 68 (2012): 453, http://paperity.org/p/19734319/alternative-treatments-for-breast-cancer. [ii] Gabriel Miller, Barrie R. Cassileth, and Edzard Ernst, “Asking the Experts: Complementary and Alternative Medicine and Cancer,” Medscape, September 2, 2014, http://www.medscape.com/viewarticle/830553_print. [iii] Perlman et al., “Prevalence and Correlates,” 34. [iv] National Center for Complementary and Alternative Medicine, “Cancer and CAM: What the Science Says,” NCCAM Clinical Digest (October 2010). [vii] Smith et al., “Why Do Some Cancer Patients,” 3. [viii] Anderson and Gill, “Use of Complementary Therapies,” 239. [ix] Smith et al., “Why Do Some Cancer Patients,” 4. [xi] Smith et al., “Why Do Some Cancer Patients,” 3. [xii] Mao et al., “Complementary,” 12.